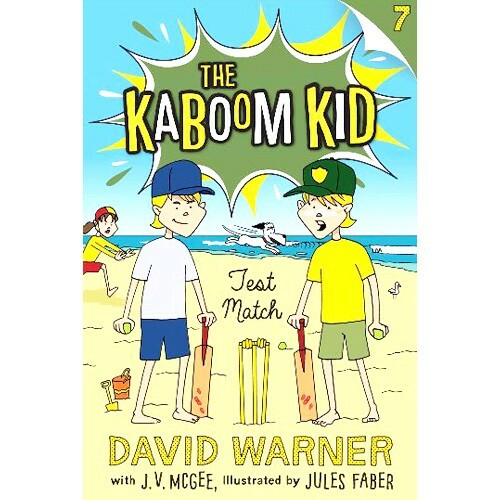 Little Davey Warner and his friends have a test match planned, a whole weekend of cricket on the beach, playing against Shimmer Bay and their captain, Josh Jarrett, AKA Mr Perfect. But when Davey and his friends hit the sand they find they’ll have to share it with some unexpected visitors. What’s more, Shimmer Bay has a new opening batter who Josh calls his ‘secret weapon’ — and who looks a lot like Davey. What’s the new player hiding up his sleeve? And why is Kevin sneaking off every chance he gets? Will the Sandhill Flats kids even be able to finish the Test match, let alone win? Red Tractor - 2017 Book " Glass Half Full"